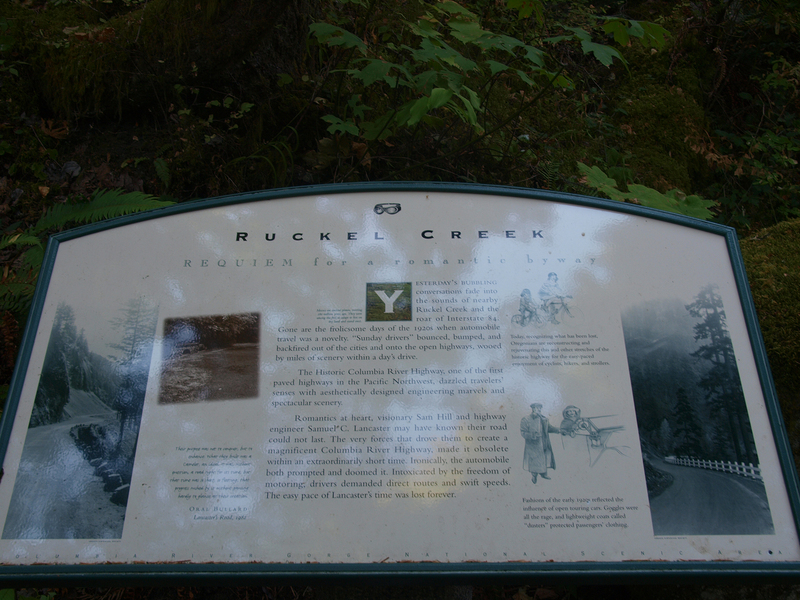 About half a mile east of the Eagle Creek Trail History sign on the Historic Columbia River Highway State Trail, is Ruckel Creek. 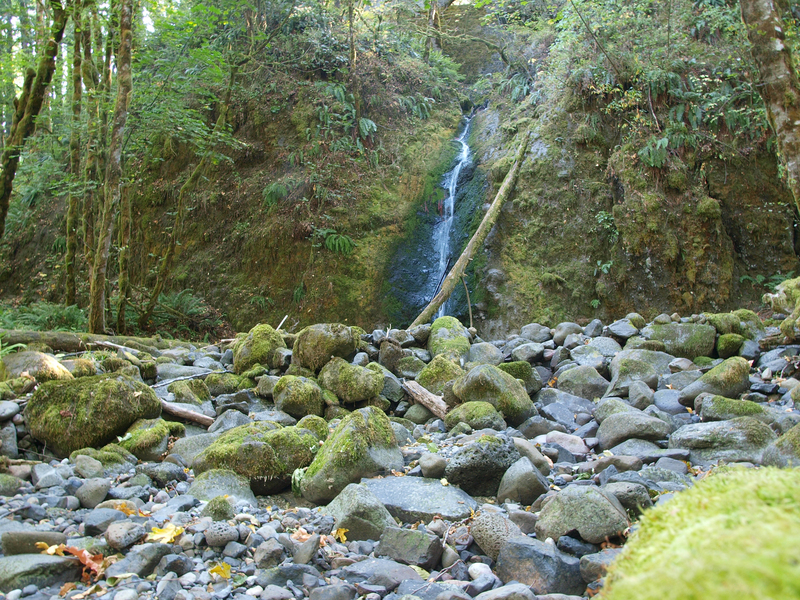 This small creek drops 3700 feet from the top of Benson Plateau. Hiking trail #440, Ruckel Creek, roughly follows the creek path. It’s possible to get to the foot of the falls, but it takes a bit of time to go off trail and back track. While much less spectacular then other nearby falls, it’s still none the less an interesting view.